Managing and optimizing your campaigns effectively and competitively should not stop when you leave the office or get sick. It should also not require hours of manual work every day. That's why today, I’m excited to announce the release of one of our most requested features: Automated Rules. 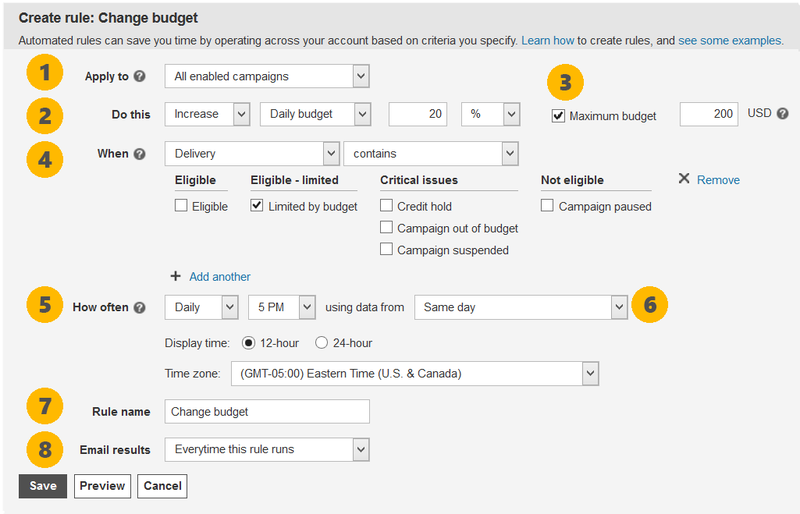 Automated Rules gives you the capability to schedule and automate your top campaign management operations. What rules can I create? 1. The “Apply to” option allows you to set the scope of the rule. You can choose to have the rule run on all enabled campaigns, all campaigns, or only the campaigns that you have selected in the Campaigns tab. 2. The “Do this” option allows you to clarify the rule action. In this example, we want to increase daily budget of campaigns by 20%. You can also increase or decrease budgets by a static numerical value instead of a percentage. 3. Optionally set a maximum campaign budget to prevent the rule from setting the campaign budget too high. 4. Specify the rule’s criteria with the “When” option. Any filter options and performance data already available are also available here. We only want this rule to run on campaigns that are limited by budget. Do this by selecting Delivery contains Limited by budget. 5. Finally, schedule your automated rule with the “How often” option. We are interested in having this rule run every day at 5PM. You can set rules to run once, daily, weekly, or monthly. 6. This is also where you define the date range for any performance data that you want to filter on. In practice, it’s best to use daily data for daily rules, weekly data for weekly rules, and monthly data for monthly rules. 7. Name your rule so that you can easily identify it amongst other rules later. 8. You can set rules to notify you every time that the rule runs, only if the rule attempts to make a change, only if the rule resulted in an error, or not at all. Use this setting to actively monitor the changes being made to your account by your rule. Finally, before saving the rule, it’s best to preview your changes to ensure that you defined your rule correctly. Click here to learn how to create these rules. Take 5 minutes to create your first automated rule right now. 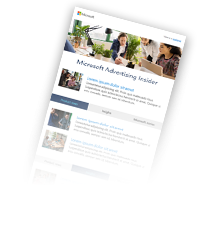 You can get started by clicking on the new Automate action in the Campaigns, Ad Groups, Ads, and Keywords tabs. Click here to for some examples to start with. If you have any questions, would like some help automating your campaigns, or have suggestions for improvements, contact us. We’re happy to help. We are committed to continue to improve this new feature. For example, by this time next month, we expect to release notification-only rules that will alert you instead of performing any automated action. Please post any comments or suggestions in our feedback forum and we will include your feedback in upcoming releases.